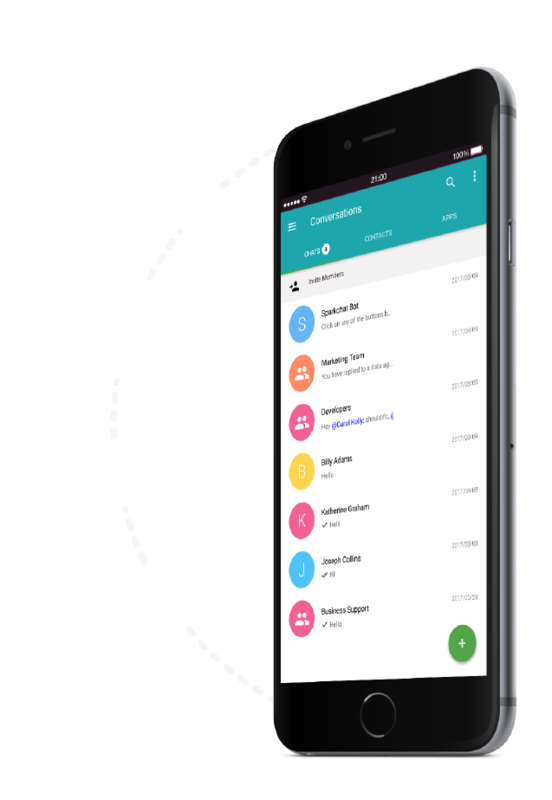 SparkChat is a mobile and web enterprise communication tool that helps combine the benefits of mobile messengers with the confidentiality your business needs. 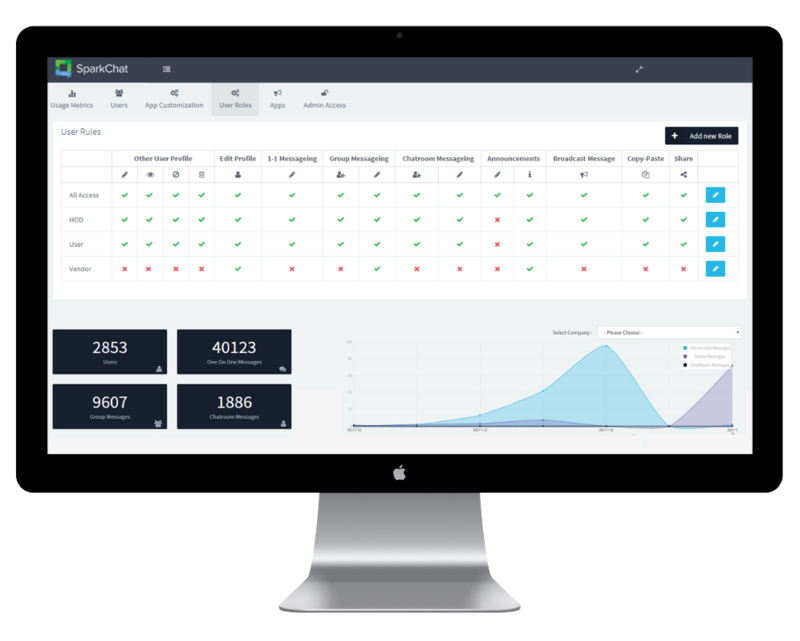 All this with superior admin control and a whole host of features that help you boost productivity without worrying about security. 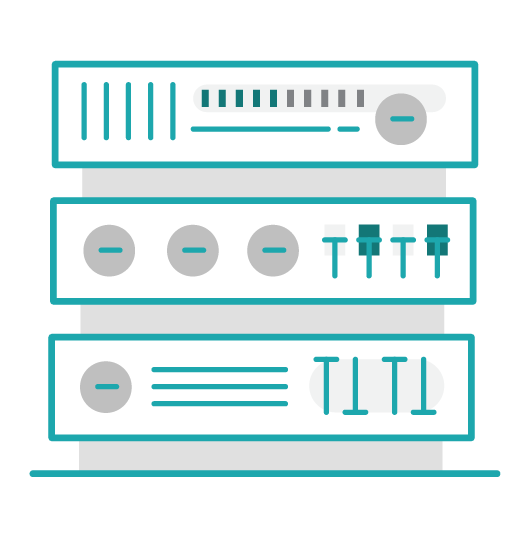 Ensure all your information stays with you, manage the users on your network and the features you need for your business. 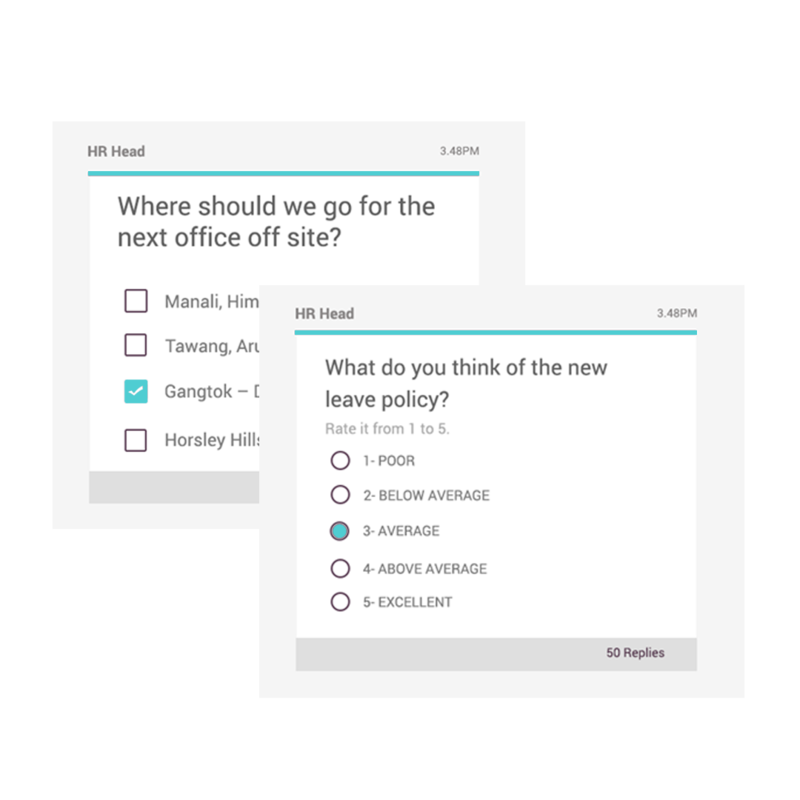 Understand the pulse of your organization with easy to use Polls & surveys and even broadcast live to all your employees. Build a more efficient workforce. 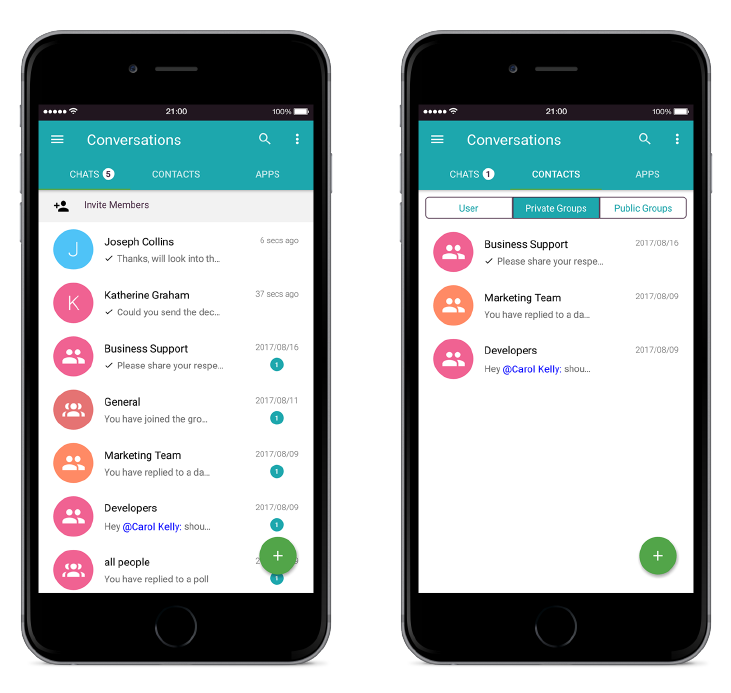 Communicate organisation wide, manage projects and check on sales and spends all in one place. You can converse 1-1, in invite only private groups for specific projects or teams or organization wide public groups to share knowledge about various topics. Start an induction group for new employees or a public appreciation group to give top performers a pat on the back! You can control the features available to each user within your team or organization easily and at the click of a button. You can invite, disable and delete accounts for when a new employee joins your team or someone leaves. We know that one of the biggest concerns when you try out a new tool is whether its being adopted. Keeping that in mind, the admin panel helps you track the number of messages across 1-1, private groups and public groups within your team. SparkChat works the way you do when you’re on the go. 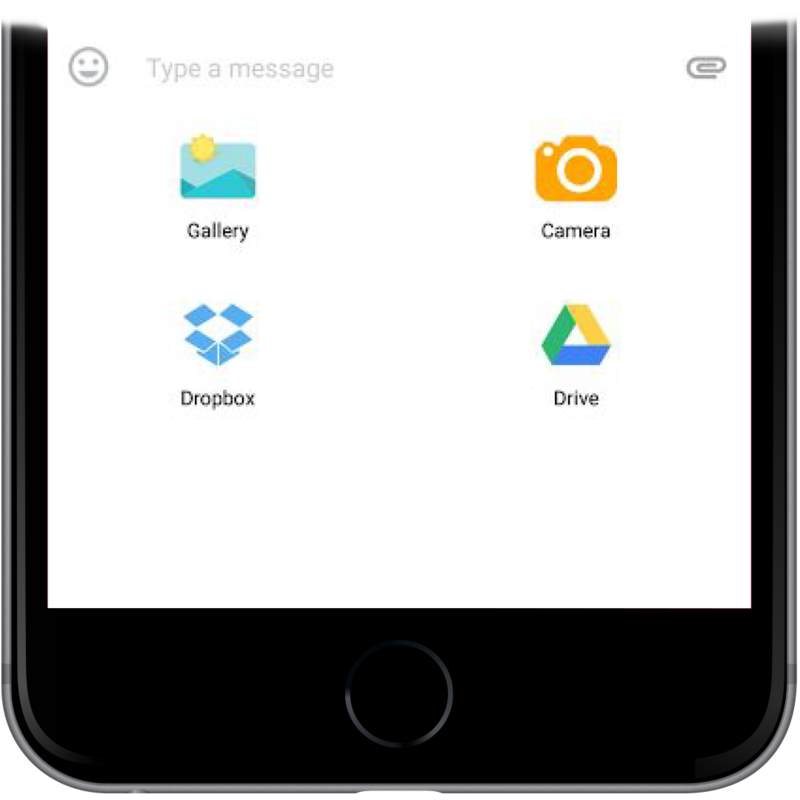 It helps you sync across all your devices with fully native Android, iOS and Web apps. This means that information shared on one device reflects on every device keeping you updated and giving you access to all your information on the go. 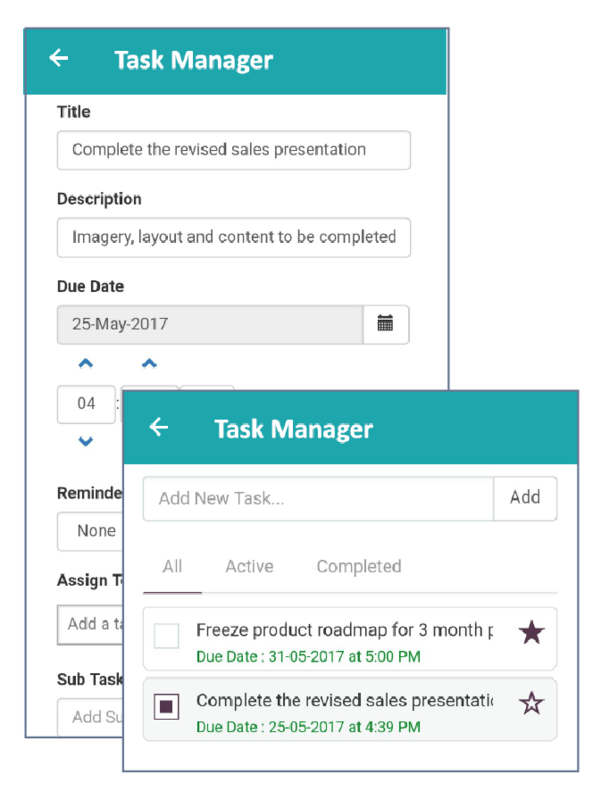 You can manage all your tasks, set due dates and reminders, assign team members and even share files and chat about specific tasks so your projects go as planned and all your team members are always on the same page. 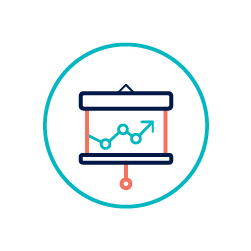 Keep a check on the pulse of your organisation with polls and surveys. 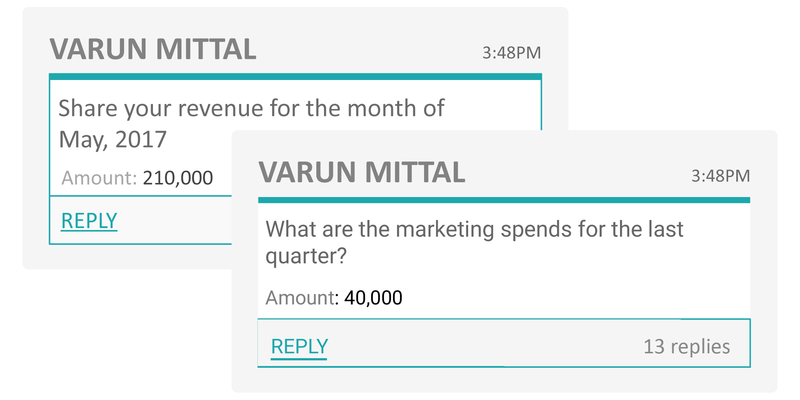 You can connect with your employees & customize your surveys as per your needs all within your chat screen without the need for lengthy conversations. 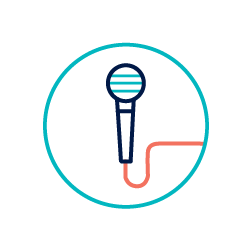 You can check on everything from where your team wants to go for the next office offsite to what your employees thought of the newest HR policy. Aggregate data such as sales targets and revenues, customer service tickets completed, jobs completed. 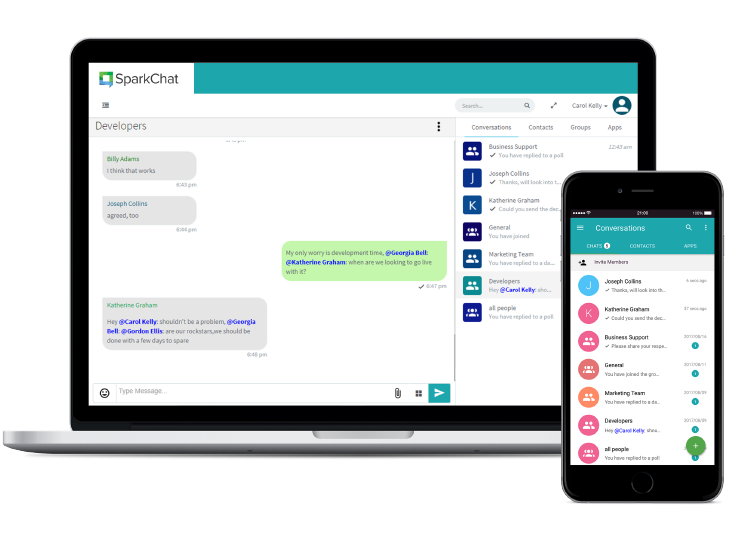 Etc as per your organizational needs and SparkChat will help you without the need of excel sheets or google sheets. All this on the go without the need to find a place to access your computer from. Secure Messaging your way! 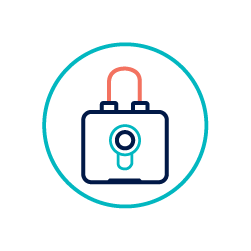 We know that each of you has your own security needs and with that in mind we offer you the option of hosting SparkChat on our cloud or on your own servers. All this in a super easy way, without having your entire IT team installing it for days. A few clicks and voila, you’re on!